Destination weddings are increasing in popularity because today’s couples want to eliminate stress and enjoy more than their wedding day. Celebrating at an exotic resort allows a week or longer in paradise with your closest relatives and friends. With so many beautiful locations and resorts to choose from, we at Dreamers Travel will personally guide you through all the destination wedding packages. By using Dreamers Travel, you can relax during the process and let us take care of all the details. Learn why you should choose Dreamers Travel. Most couples spend less than $10,000 for a destination wedding, while the average reception at home is $27,852. 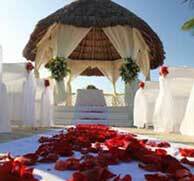 Many of the resorts we work with offer Free Wedding Packages. A free wedding includes a cake, bouquet, reception location and more. 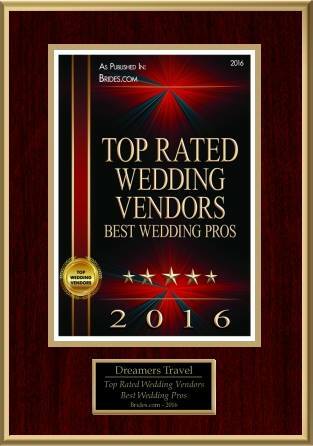 At Dreamers Travel the most important part of a destination wedding is selecting the resort that will cater to your every wish and fulfill your every need. 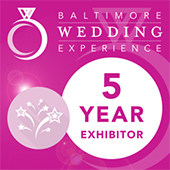 Ask about The Bride & Groom Go FREE Program. 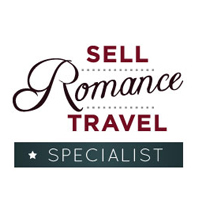 Dreamers Travel has partnered with some of the finest, most romantic resorts in the world. Each of the resorts included in our collection have been carefully selected based on the features and services they provide for the bride, groom and guests. They ensure your wedding is fit for royalty. View resort videos and info at the right. Learn about our Adults-Only Resorts. Are you ready to start planning your Destination Wedding? Read our 10 Simple Steps to Your Destination Wedding. 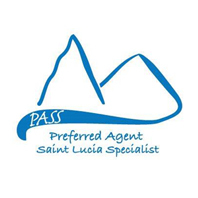 Find out why working with a travel agent is the best way to plan your trip. 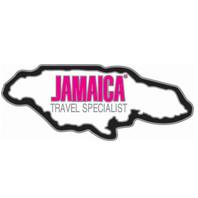 Compare Dreamers Travel and Internet Booking. Whether it is your first time or second time, we’ll make it your best time. We have Family Friendly Resorts and Adult-Only Resorts to choose from. Click for a Free Consultation or to receive a no obligation free quote. “We had always dreamed of a Caribbean destination wedding, but never did we dream that it would have been this perfect!! We are most thankful to Mark for helping us to pick our destination. Sandals Grande Riviera in Ocho Rios, Jamaica was the absolute paradise we were looking for! We loved how confident he was when assisting us in choosing a room and accommodation packet! He was able to show us pictures of the updated Villa from his recent trip to the resort. We are so happy that we took his recommendation. The mountain side butler villa gave us the privacy and luxury that we were looking for! We adored our butlers and feel that they made our trip soooooo much more memorable! He certainly hit the “mark” on this one! 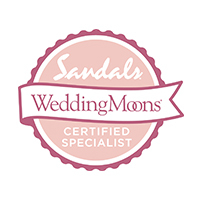 Right away, Mark introduced us to the Sandals wedding planner to relieve some anxiety! This communication allowed us to begin the planning process of our big day (from flower colors to entree selection to venue options). I have to say that the planning was certainly the stress free process I was looking for. It was reassuring to know that both Mark and Sandal’s are so experienced with Destination Weddings. Furthermore, all of Dreamer’s Travel staff helped to assist our guests by answering questions and booking accommodations. We knew that we were putting our guests into good hands when we included their business cards in our invites! Our Wedding-Moon was certainly the stress free fairy-tale paradise we were looking for. We loved our room, the staff, the food, and the experiences that the Grande Riviera offered us! We were able to spend most of our trip with our best friends and family while enjoying 3 days to ourselves! It doesn’t get much better than that! This is a week that that we will remember for the rest of our lives! We can’t wait to go back! 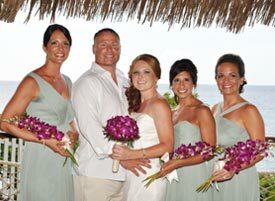 Wedding at the Sandals Grande Riviera in Ocho Rios, Jamaica.